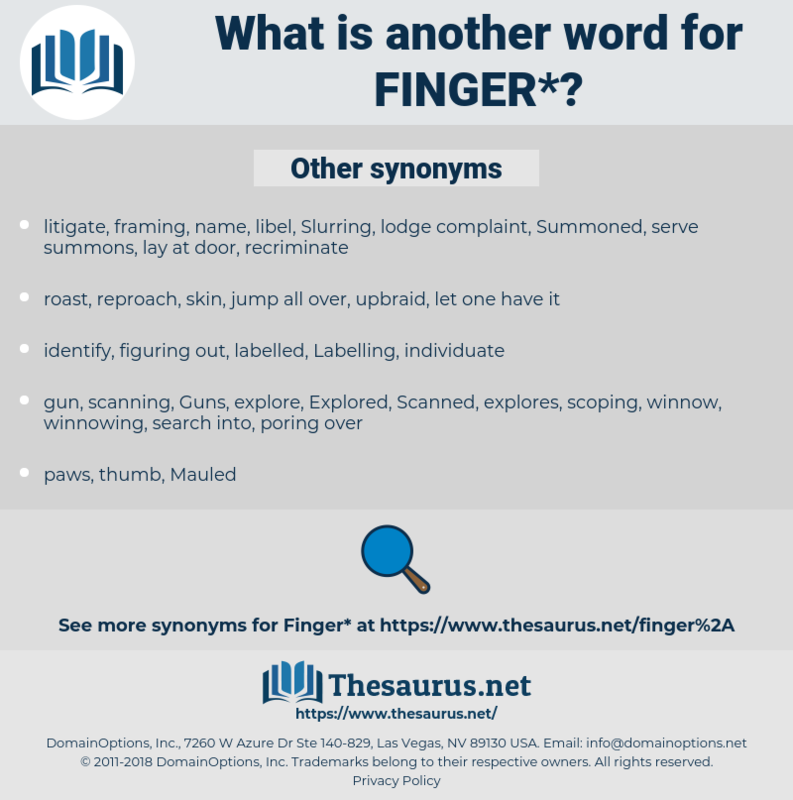 What is another word for finger? digit, nail, ring, birdie, touch. fingerprint, fingerprinting, toe, pinky, wrist, inch, blame. hide, counterfeit, disguise, feign, sham, simulate, camouflage, conceal. I was a fool to suppose you would lift a finger for me. Bunny put his finger over his lips. 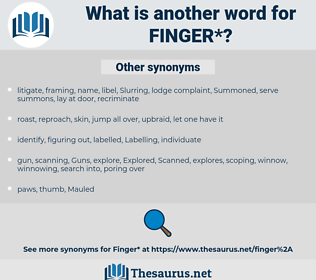 index, middle finger, forefinger, thumb, pollex, ring finger, pinky, annualry, little finger, pinkie, index finger. look for, search, touch, seek. fingertip, Metacarpophalangeal Joint, knuckle joint, pad, knuckle, fingernail.